A Flag to Keep your Grand Opening Ceremony Soaring! A grand opening ceremony is a representation of your vision breaking free from the confines of hardships and taking flight. To that extent, you need a grand opening ceremony that soars as high as your intended business. 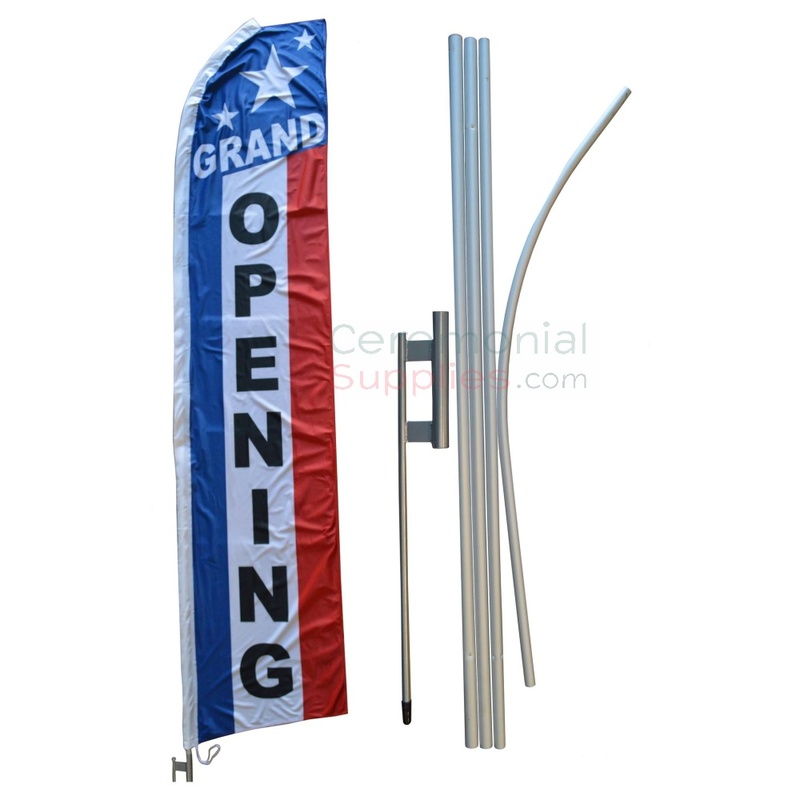 The Feather Style Grand Opening Flag and Pole Kit is the perfect decoration for such ceremonies, as its high flying design makes it an attractive prospect while the provided flag pole provides sturdiness to match. The set is a perfect match for your business, high flying, yet sturdy, and will surely make a positive impression on your guests! For more flags and décor for you grand opening ceremony justice, browse through the countless options in our banners, signs and flags category.